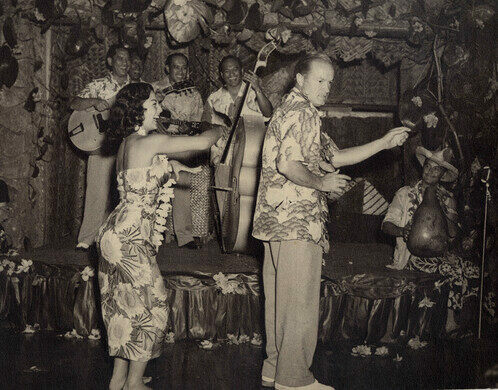 This midcentury LA bar was the birthplace of tiki culture. 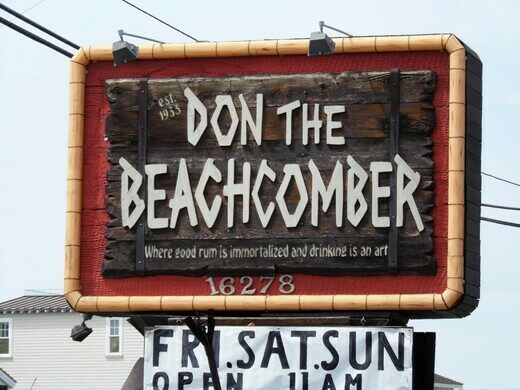 Sorry, Don The Beachcomber is permanently closed. Ernest Beaumont Gantt made his way through the Depression as a bootlegger, but when Prohibition ended he was out of a job. He worked a number of odd jobs, but having traveled in the Caribbean and Pacific, he found himself successful as a technical advisor on the numerous South Seas films Hollywood was churning out. 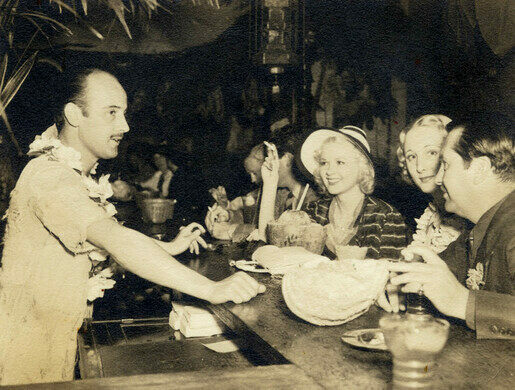 In 1934 Gantt opened a bar in Los Angeles where he made rum drinks (it was the cheapest liquor he could get) and decorated with Polynesian flair he had collected, along with buoys and nets he scrounged up from the waterfront. He named it the Beachcomber Café, and he put his all into making patrons feel as though they were in a little grass shack somewhere far off in the Pacific. Despite the fact that he himself was drafted, World War II turned out to be the best thing that could have happened to Donn Beach. First, thousands of American youth were shipped out to the Pacific, where many of them were seeing palm trees and beaches for the very first time. News of this paradise came back from overseas, and the idea of a tropical vacation began to grow in the American pop culture consciousness. Military men brought back coconut shells and grass skirts to their new suburban homes; A-frame architecture modeled on indigenous longhouses and bamboo rattan furniture were in vogue. 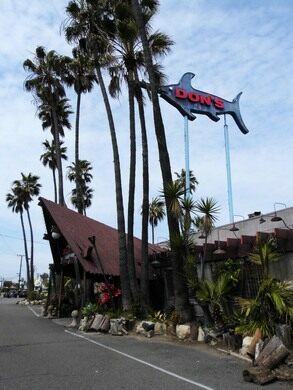 Second, while Donn was overseas, his wife Sunny managed Don the Beachcomber (the bar, not the man). She turned out to be twice as savvy as he, and expanded the establishment into a chain, and a popular one at that. 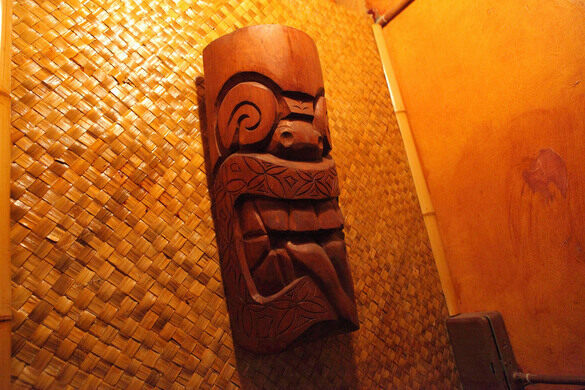 Various copycats ensued, including the highly successful Trader Vic’s. 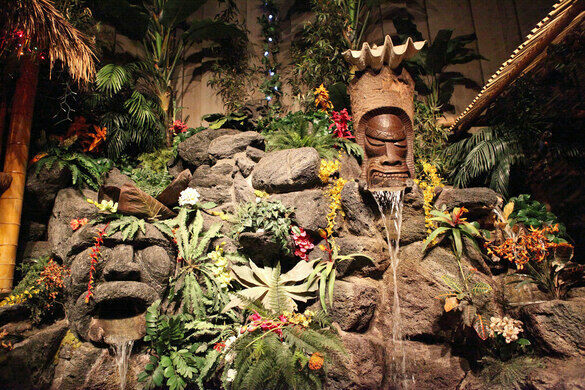 But Don the Beachcomber remains in the minds of tiki enthusiasts as the birthplace of essential tiki drinks including the Mai Tai and the Zombie. Donn and Sunny divorced, and she retained the rights to the Don the Beachcomber chain. By the 1980s, all of the restaurants were sold or converted to a different brand, but three restaurants to date have taken on the DTB brand. 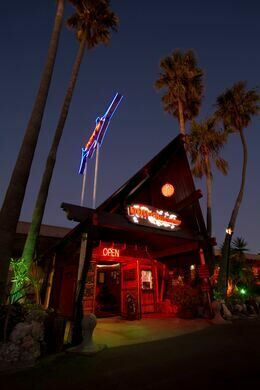 The Don the Beachcomber in Huntington Beach, though not the Hollywood original, is about as close as you can get, physically and aesthetically. 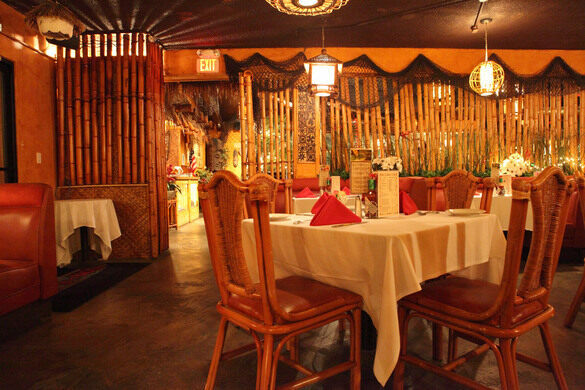 It still serves up classic Donn Beach - rattan furniture, sugary tropical drinks, and midcentury Polynesian pop nostalgia straight from the originator himself. Update May, 2018: This location is permanently closed. Tiki Pop, by Sven A. Kirsten. Taschen. The 10-foot-wide Long Beach home was built on a dare. 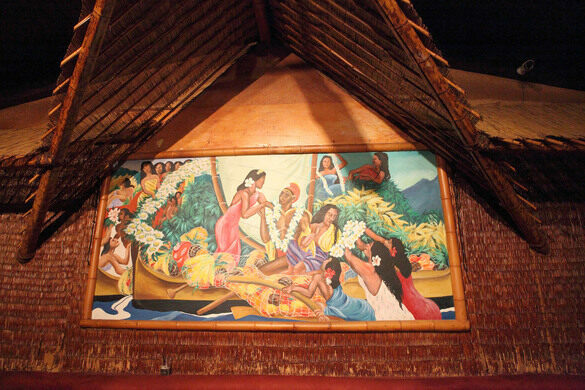 Mai Tais and Navy Grog served up in one of the original tiki bars.